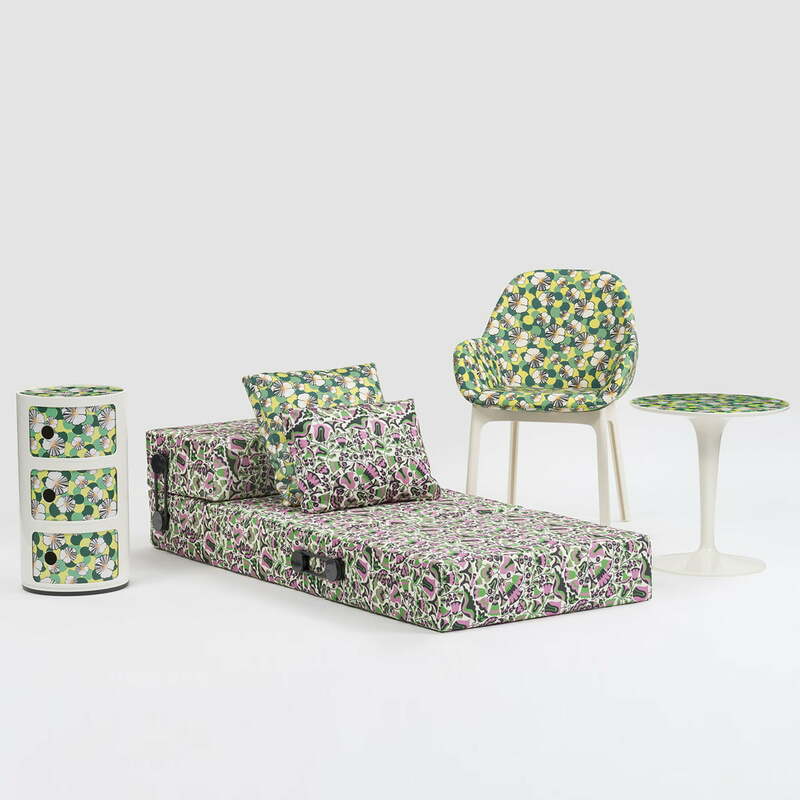 Together with the design label La Double J, Kartell presents the collection of classics that stand out with their eye-catching colours and retro-style motifs. 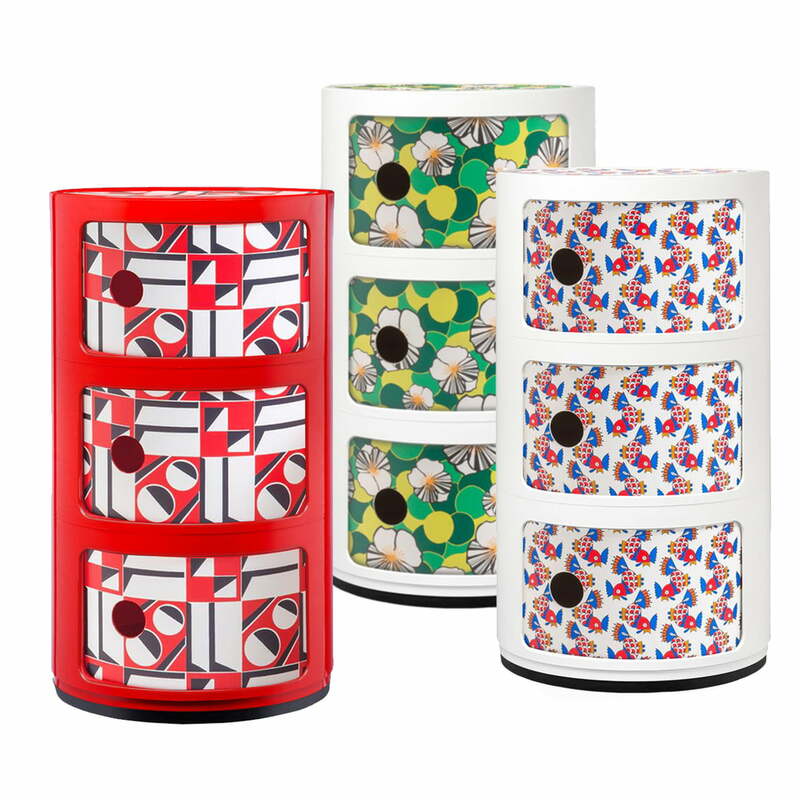 Founded in Milan in 2015 by the former design editor J.J. Martin, La Double J is characterised by colourful, vintage-style motifs that attract attention in any setting. 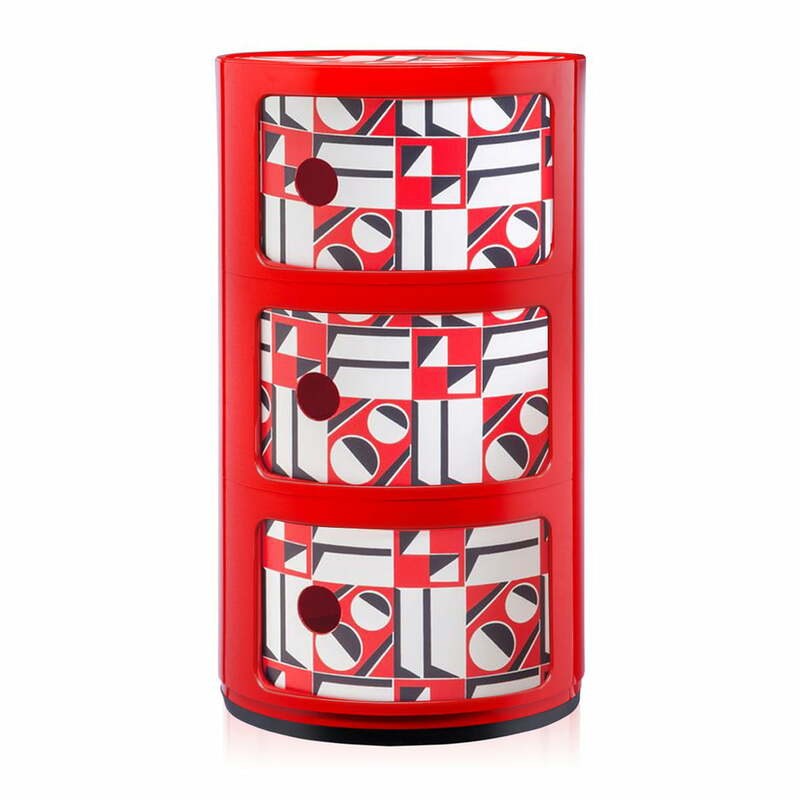 As part of the Double J collection, the Componibili 4987 container, one of the Kartell’s bestselling pieces, has received a makeover consisting of a patterned door and an eye-catching, colourful surface. The collection includes flowers, geometric shapes and animal motifs that impress with their contrasting design. Monochrome, colour-coordinated bodies round off the look and provide a quiet, uniform contrast unlike the expressive patterns. In terms of usage and quality, the La Double J edition of the Componibili 4987 is true to the original. Developed in 1969 by Anna Castelli Ferrieri, the three door container is a versatile piece of storage furniture that can be used in the bathroom, kitchen, living room or bedroom. The piece has already achieved international recognition and, thanks to its innovative design, can even be found in the exhibitions of the Museum of Modern Art in New York and the Center George Pompidou in Paris. With a diameter of 32 cm, the La Double J edition of the Componibili 4987 fits into any room and can additionally be used as a bedside table, a tray in the hallway, or to store toys in the children’s bedroom. Made from ABS plastic, the container is light and can be transported wherever it is needed. The Double J edition of the Componibili 4987 is available in various colours and patterns, which can all be combined wonderfully with one another and provide a highlight in both private and public interiors. With a diameter of 32 cm, the La Double J edition of the Componibili 4987 fits into any room and can additionally be used as a bedside table, a tray in the hallway, or to store toys in the children’s bedroom. The La Double J collection by Kartell comprises of classics from the Italian company that have been re-interpreted by the Milanese brand Double J. 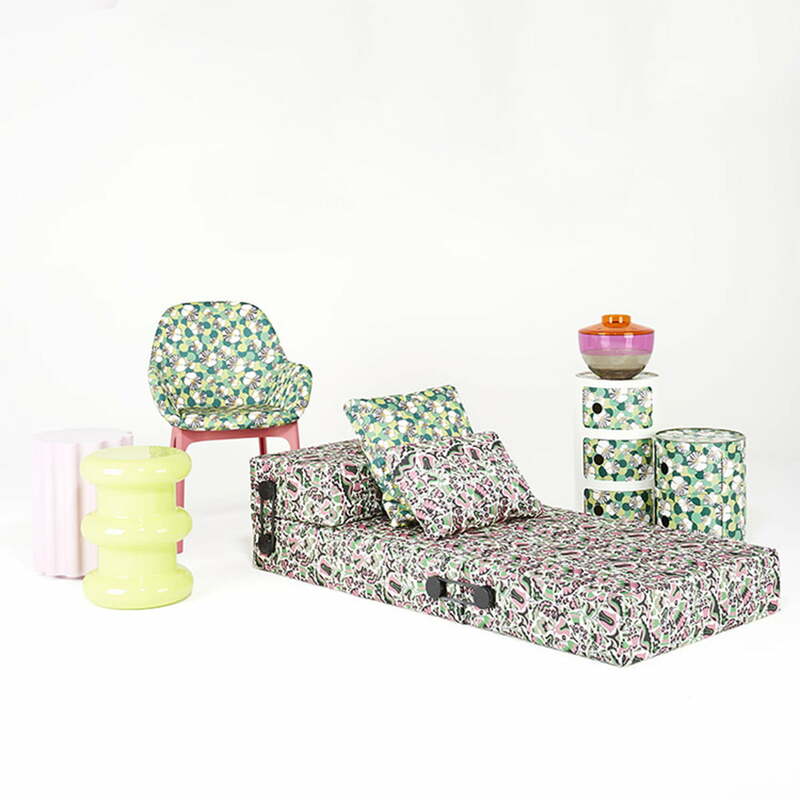 The pattern from 2015 by J.J. Martin is edgy, colourful and full of contrast. Martin of founded full lifestyle label that specializes in flamboyant retro looks.